Alles tip-top! Hostel ist super sauber, Personal ist äußerst hilfsbereit und Preis-Leistung absolut in Ordnung! Staff is really friendly, helps you with every question and provides you an awesome fresh omlett. Breaki in general is quiet nice as well. Room was good and everything was fine. Nettes Personal, Frühstück etwas sparsam. Kleine Zimmer, aber für den Preis in Ordnung. It was really nice! The atmosphere and the room are very good and the people are helpfully! But the bathroom is old and a little bit dirty. 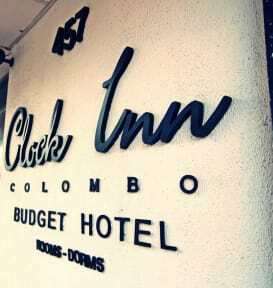 Good for two nights budget stay in Colombo. We really liked the breakfast where a staff is cooking you the eggs. Good airconditiined. Bathroom facilities could be improved though. Fuer eine Nacht okay. Nettes Und hilfsbereites Personal. Zimmer sehr einfach. Für eine Nacht ist es okay, aber kein Hostel für mehrere Tage. Alles sehr einfach. Unflexibel... nicht auf Backpacker eingestellt.